by Dr. Sveta Mayer (IoE). Thank you to Dr Sveta Mayer for a fascinating discussion about her journey towards designing and evaluating an education intervention. The intervention involves computer-based activities which encourage children with autism to work out what animated characters are feeling and why. They can then relate this understanding to comparable social interactions in the real world. Here is a summary of her talk. Design and evaluation of an education intervention for children with autism targeting social and emotional engagement through observation. 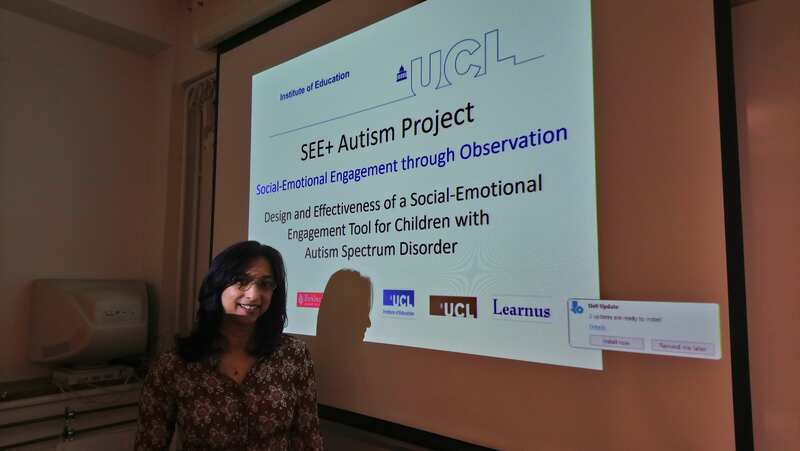 Sveta Mayer (PhD), lecturer at UCL Institute of Education, discussed her recent research project called See+ Autism at yesterday’s CEN research group session. The project involves the design and evaluation of a computer-based educational tool to support autistic children’s social and emotional engagement. 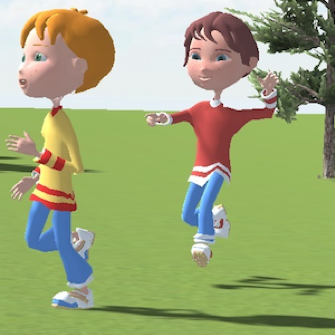 This involves children observing animations of virtual characters engaged in social scenarios. Sveta discussed how she met the challenge of evidence-based research, policy and practice related to educational neuroscience to inform her research by drawing upon a multidisciplinary review of literature to inform her work. She also discussed why a participatory research approach involving practitioners-as-researchers is invaluable to address the challenge of ecological validity, i.e. supporting transfer of children’s computer-based learning into their lived experience of the social world around them. Sveta hopes to draw on her findings to establish a blended learning education tool incorporating computer-based learning augmented by practitioner-based support. Sveta carried out foundational work for this project as part of the UnLocke project (http://unlocke.org) and also received UCL seed funding.